International flights UK - Lima -Puerto Maldonado - UK. Expedition train journey in tourist class. 11 Breakfasts, 5 lunches and 3 dinners. * Documentation of the internal flights will be available in the "My bookings" section in your "Private Area" 7 days after you have made your booking. It is essential to fill in the passport information correctly for each passenger in the given boxes at the end of the reservations process. Note: Hotel Check-In in Lima is available from 15:00. You can book Early Check-In in the next step of the booking. In the case of a change to the Puerto Maldonado hotel, the itinerary and activities may also be modified. 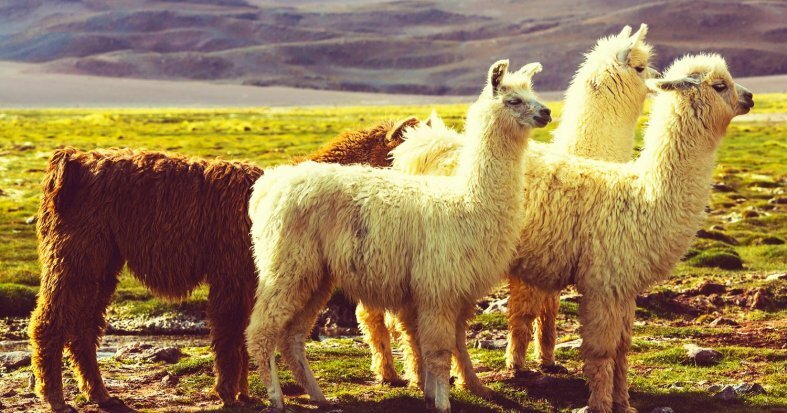 IMPORTANT: Check with your doctor's recommendation for vaccines to travel to Perú. Arrival at UK departure airport ready to check in for overnight flight to Lima. *Check-in at 15:00. You can purchase Early Check-In in the next step of the booking process. Breakfast at the hotel. We suggest taking the optional excursion for £33*. Overnight stay. 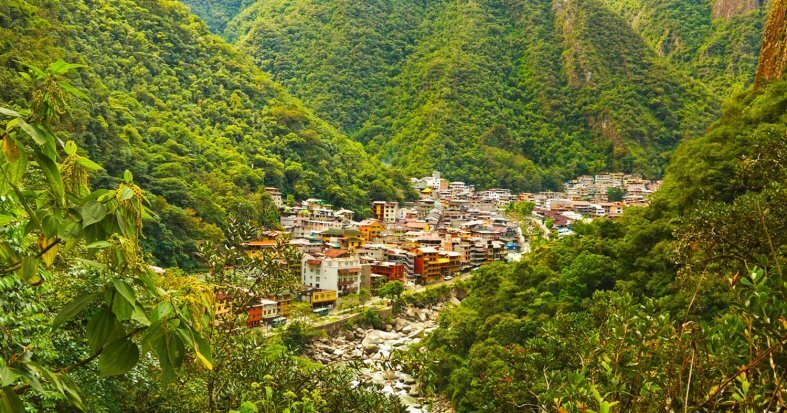 *Visit the districts of Miraflores and San Isidro. Enjoy the panoramic view of Huaca Huallamarca and visit the Sant Domingo Convent. Walk through Plaza Mayor which is surrounded by Arzobispal palace, the metropolitan municipality and the cathedral. Stop to try a traditional Pisco Sour. Finally, visit the Larco museum whose artefacts display more than 3000 years of Pre-Columbian history. Overnight stay. Breakfast* at the hotel. 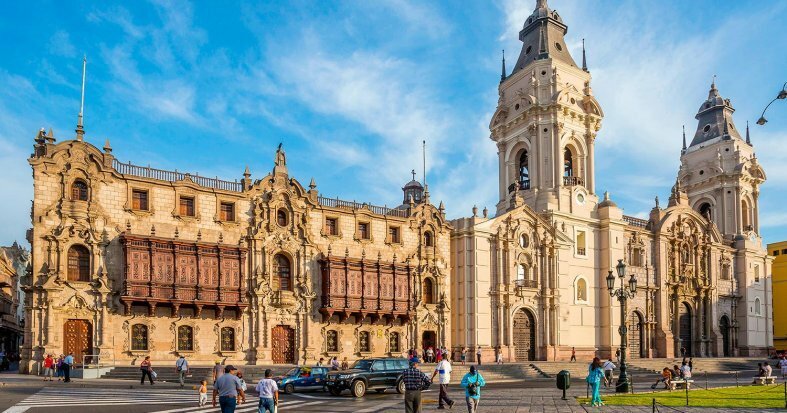 Take a flight from Lima’s airport to Juliaca. Arrival to Juliaca and transfer to Puno. Overnight stay in Puno. Breakfast at the hotel. 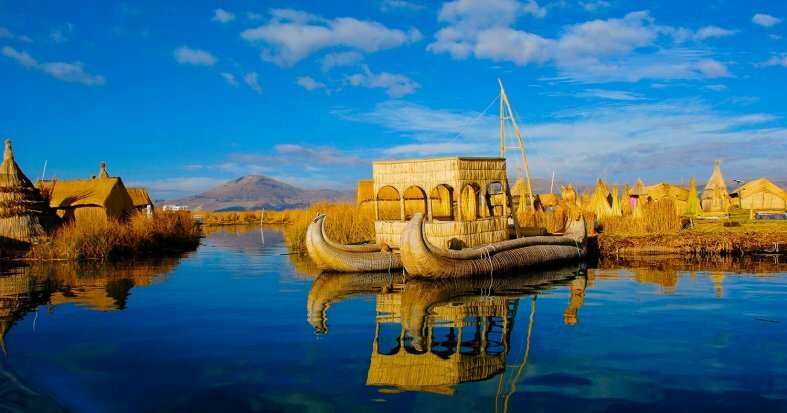 Excursion to Taquile and Uros island. 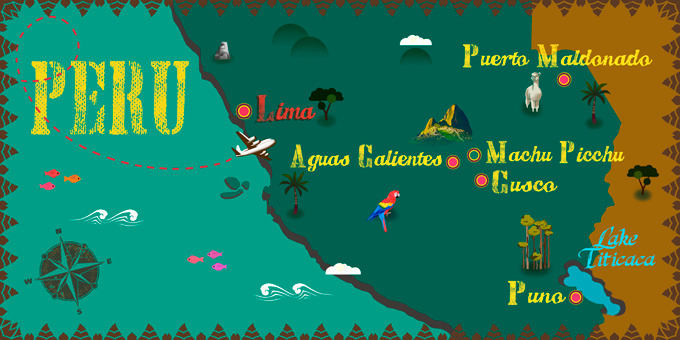 Depart to Taquile island - Taquile has remnants of the past which date back to pre-Inca times. The islanders are famous for their beautiful clothing, their incredible knits, and textile industry. Next, visit the community of Huayllano, on the same island, where the locals show their traditional crafts and agriculture. Lunch. Visit the islands of Uros situated in the middle of the national reserve of Lake Titicaca. Transfer to hotel. Overnight stay. Breakfast at the hotel. Transfer to Puno station to take a bus to Cuzco. Leave the station and start your journey on the bus to Puno and enjoy the marvellous landscapes of the South Valley of Cuzco. Visit Andahuaylas, the beautiful church of 17th century, featuring an impressive organ decorated with angels and cherubs. Later on, visit the ruins of Racqui, also known as the ´Temple of the God Wiracocha and have lunch. Discover La Raya, the highest point on the highway between Cuzco and Puno for amazing views of the landscape. Arrival in Cuzco and transfer to hotel. Overnight stay. Breakfast at the hotel. We suggest taking the optional excursion for £59*. Overnight stay. 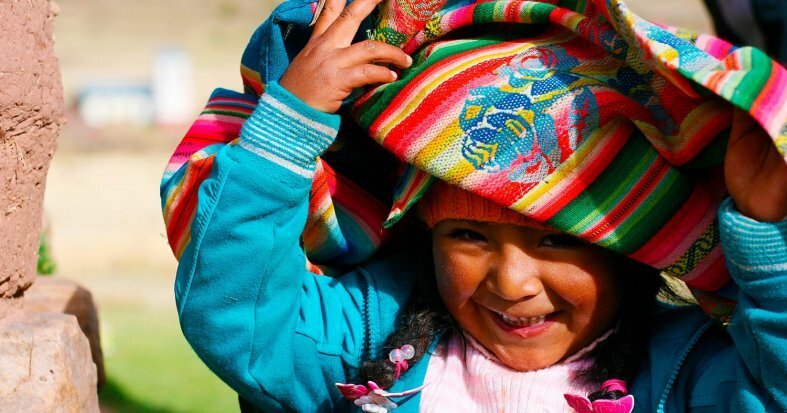 *Begin the day at Chinchero, a small picturesque town, home to the important archaeological Inca site, constructed in the final years of the decade of 1400, a beautiful and traditional church. 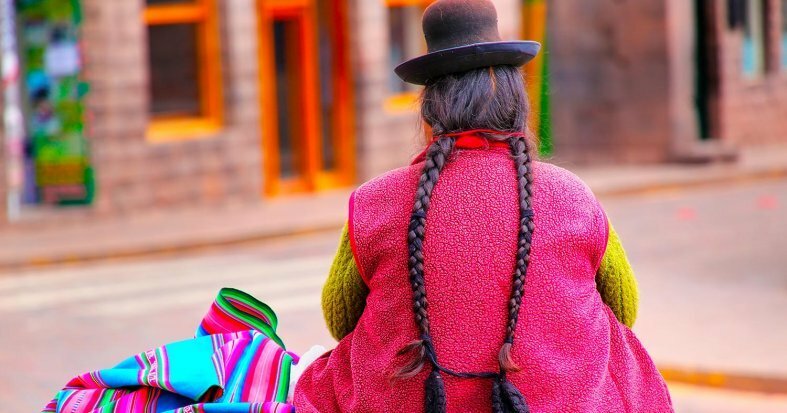 Visit “Urpi” a famous textile centre, where the town people have conserved the Andean spinning techniques of knitting. 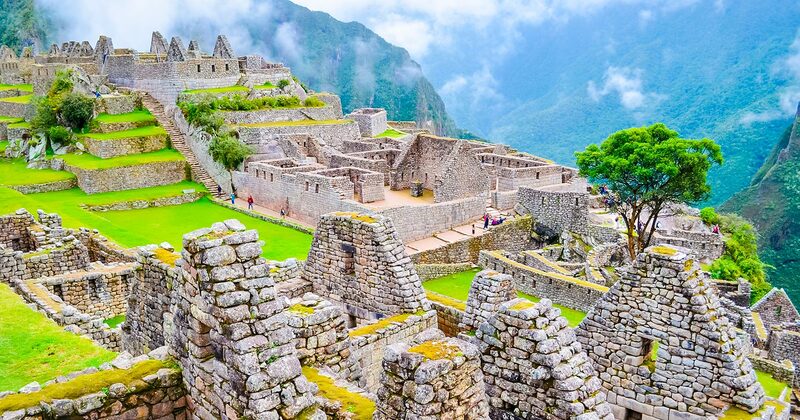 Visit Ollantaytambo a fort which also served as a temple. 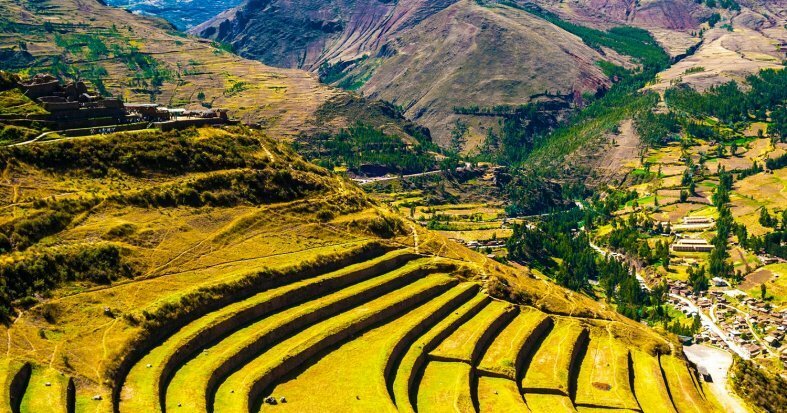 On your way to Ollantaytambo, stop by Racchi viewpoint for a stunning picturesque photographic opportunity. Afterwards, continue towards the town adjacent to Ollantaytambo, “the only alive Inca town” which hasn’t been inhabited since the 13th century. Breakfast at the hotel. 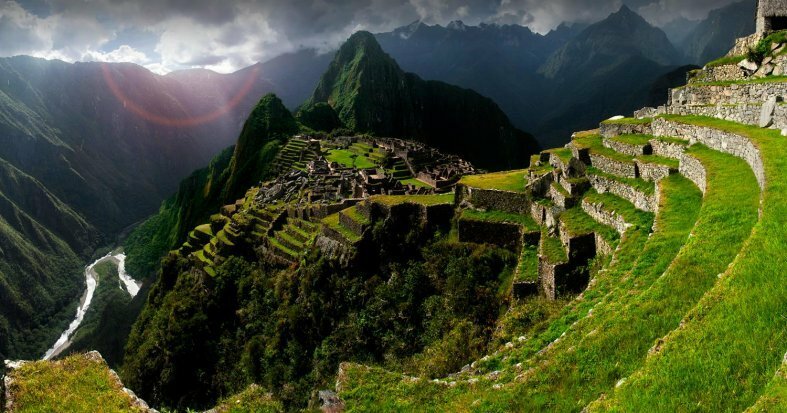 You are free to spend the day at your leisure and explore the former Capital of the Incas. Breakfast at the hotel. Transfer to Cusco airport for your flight to Puerto Maldonado. Arrival in Puerto Maldonado and transfer to hotel and then take a leisurely cruise along the Rio del Madre through the jungle. After that, enjoy a brief presentation followed by a delicious, locally prepared lunch. 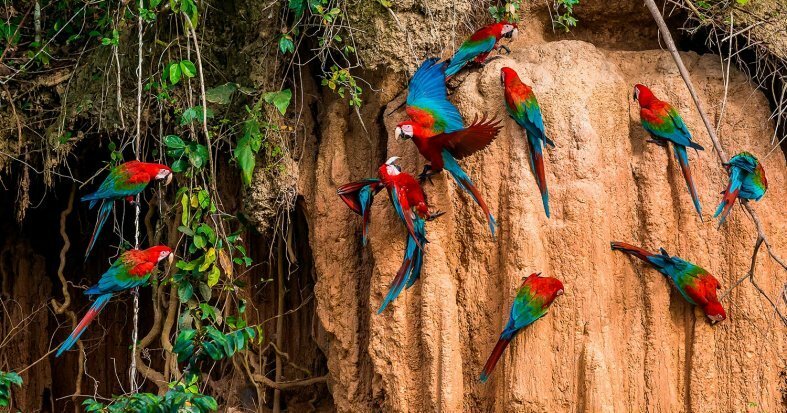 After lunch, join your guide and enjoy a guided walk along the trails through the Amazon Basin, a perfect introduction to the jungle ecosystem. 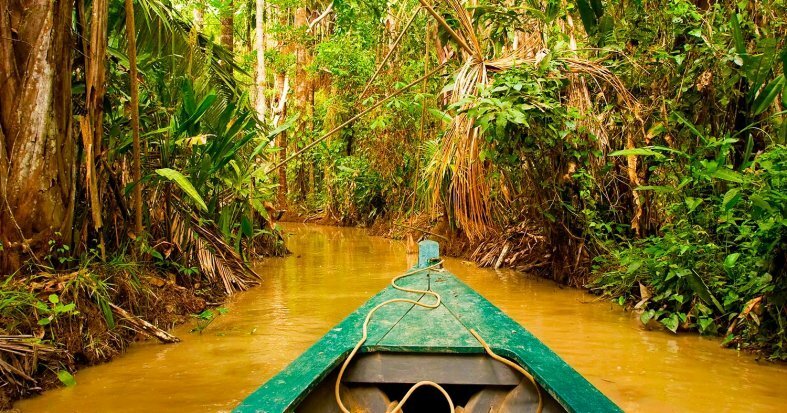 Later enjoy an evening boat ride on the river and watch the jungle transform from day to night. Dinner and overnight at hotel. 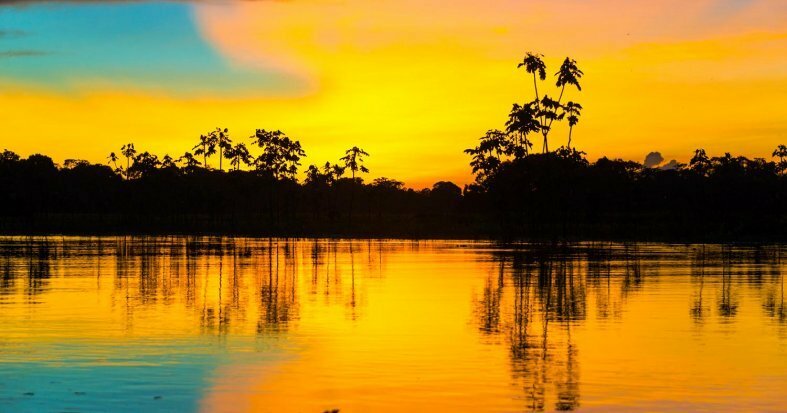 Enjoy an early breakfast at hotel then take an excursion to Lake Sandoval in the Tambopata National Reserve. 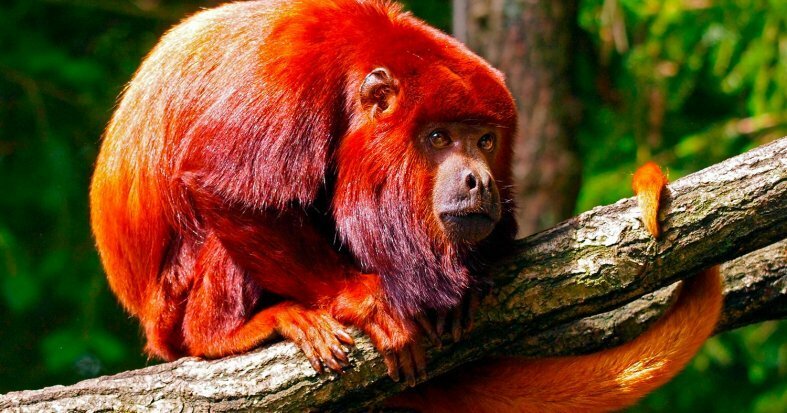 Sail in a canoe on the lake and look out for monkeys, macaws, anacondas and turtles. 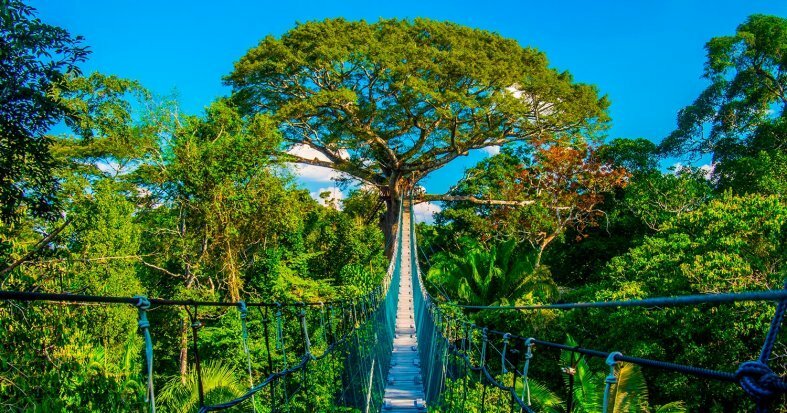 Return for lunch and in the afternoon enjoy walking on bridges through the tree tops, watching out for monkeys, toucans, woodpeckers and lazy bears. 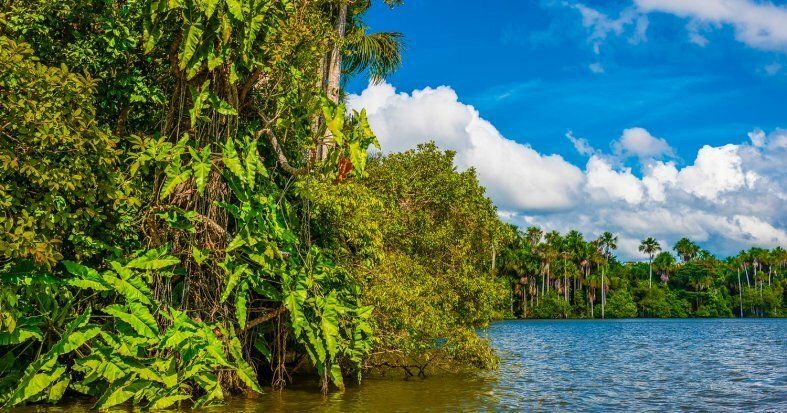 Then take the Anaconda Walk, wooden bridges over the Aguajales Marshes where you can see different species of amphibians and mammals and jungle flora. Dinner and overnight at the hotel. After breakfast at the hotel, enjoy the return journey on the river to Puerto Maldonado. Here visit the Butterfly House and learn about some of the many varieties of butterflies that are native to Peru. Transfer to airport for overnight flight to the UK.